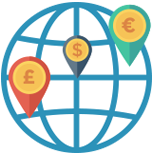 Our currency converter displays daily market rates and is not indicative of our customer rates. Get the best exchange rate wherever you want to transfer your money overseas. Whether a simple money transfer or if you have more complex requirements, we have a partnership that gives you the best exchange rates available. Get the best exchange rate available the moment you want to transfer your money. With a standard currency exchange, you get bank-beating FX transfers. You can rest assured that you will get a better exchange rate than the mainstream banks will offer to you. Use flexibility of your financial situation to take advantage of currency fluctuations. If you’re comfortable taking on an element of risk, you can target an exchange rate that is not yet available, but you believe you will soon be able to achieve. Automatically exchange at more competitive rates, without having to constantly watch the markets. Secure your exchange rate early so you can budget your finances before transferring your money. Protect your exchange rate for the next two years with a small up-front deposit to have peace of mind that your budget can stay the same and not be affected by exchange rates constantly moving up and down. Make your rental returns predictable. 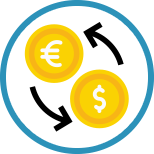 Fix the exchange rate for ongoing payments so you know exactly how much you will receive and when you will receive it. A secure direct debit will give you peace of mind and make it easier for you to manage your budget. Our partners regularly check the exchange rates offered by high street banks and building societies to make sure you get the best price available. * Based on an independent exchange rate comparison taken 25th May 2017 between RBS, Barclays and Lloyds. 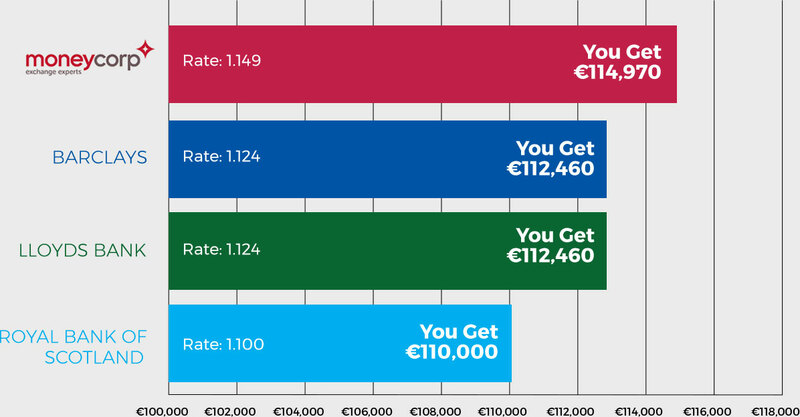 Moneycorp’s rate is based on the average margin applied to £/€ foreign exchange contracts for £100,000 entered into telephone on 25th May 2017. Please note that there are additional costs with the service. Moneycorp transfer fees are from £5 online and cost £15 over the phone, compared with high-street banks who typically charge £20-£40. Save thousands when you transfer money to the UK with Moneycorp. Get better exchange rates than High Street banks. A personal dealer to advise you on the best solution, at the right time. Guidance on when to transfer your money so you can have more pounds to invest. Transfer your funds directly to a solicitor or into a bank account in your name, simply speak with your personal dealer or use the online platform. 24.6 billion traded in currencies. 7 million transactions to over 175 countries. TTT Moneycorp Ltd is authorised and regulated by the Financial Conducted Authority for the provision of payment services.